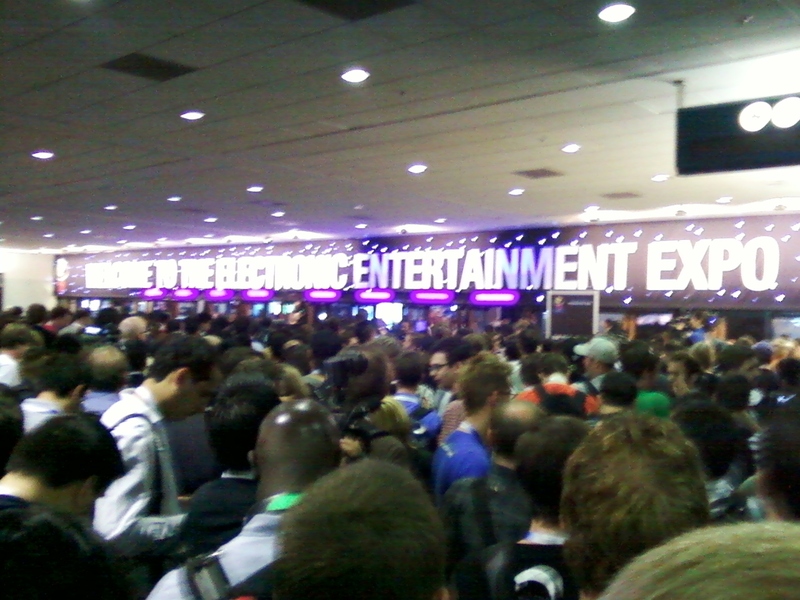 So here is my closing comments and personal experience at E3 2011 along some things you may have missed out on whether you were there or not. E3 just gets bigger and bigger every year with it now being open to the public. After the convention was over I walked outside my hotel room to see what seemed like some college students pulling some pranks in the hallway. They then admitted that they were filming a documentary on how they were all able to sneak into E3 through fake ID’s and such. You really never know what to expect during the week of E3 as literally anything can happen. There is no telling what celebrities might attend the convention or simply some of the many parties held over the course of the week. Of course you can’t forget about the Press Conferences from not just Sony, Microsoft and Nintendo but the other publishers as well. Every year at least one of them invests some major cash to make sure their press event is the talk of the week. Last year it was Activision which included numerous artists performances from the likes of Eminem, Rhiana, Usher and more with pyrotechnics. This year it was the Sony Press Conference that once revealing the PS Vita lifted the curtains and actually had their E3 party right there at the same place the press conference was held. I was curious as to why they were having the Sony Press Conference at that specific venue but once the actual Press Conference was over, the party revealed a full arcade floor where people got the opportunity to play all the games that they were just previewed at the Press Conference. They had everything and then some, not to mention the open bar which no E3 party would be without. You were given the opportunity to play Resistance 3, Uncharted 3 Versus, Street Fight x Tekken, Twisted Metal along with many of the PS Vita games right there on the show floor. Along with the long list of games I didn’t even mention, there were also other things like Music Unlimited, I believe it was called, that let you listen to music on the Playstation 3 for a fee (not limited to the Playstation 3). After quarreling with the woman running it that it would not be able to find a certain Metal artists I had in mind, it did indeed find nearly the entire catalog of music from that artist. In addition Sony had Jane’s Addiction come out to perform as well, so I will have to give it to Sony as they stole the show this year (even though Jane’s Addiction happened to also play last year at the Activision Press Conference). Regardless it was a blast and I am pretty sure I had to be carried back to the hotel. There are without a doubt plenty of things that I am sure you missed whether you were there or not, which I will get into shortly. First I have to say that this year at E3 is was like a Dancing Freak-show, from professional dancing to dancing that just downright wanted to make you cry. Of course, between clubs, parties, after parties there is always dancing, but this year at E3, you could not get away from it. I almost gave up on asking questions regarding a Ubisoft game because of the blaring dance music in the background, but don’t get me wrong, it was all good with people enjoying themselves and it made it seem like karaoke was a thing of the past as we welcome in the dance. Between the new Dance Central 2, Just Dance 3 and the brand new Everybody Dance for Playstation 3. People just could not get enough of Everybody Dance with its Infinite Party Mode letting up to 20 players take turns dancing. Offering three different difficult modes, the game also has a system to record you best moves for later use as well as a karaoke mode that will let not dancers sing along via the PlayStation Eye’s built-in mic, giving bonus points to the dancers. The game will be available this fall but it was quite clear that dancing was the general theme at E3 2011… hence the post title. I had a lot on my plate at E3 this year so I was running around everywhere trying to make appointments and such. Overall though, I was able to see a good portion of what was at E3 this year. 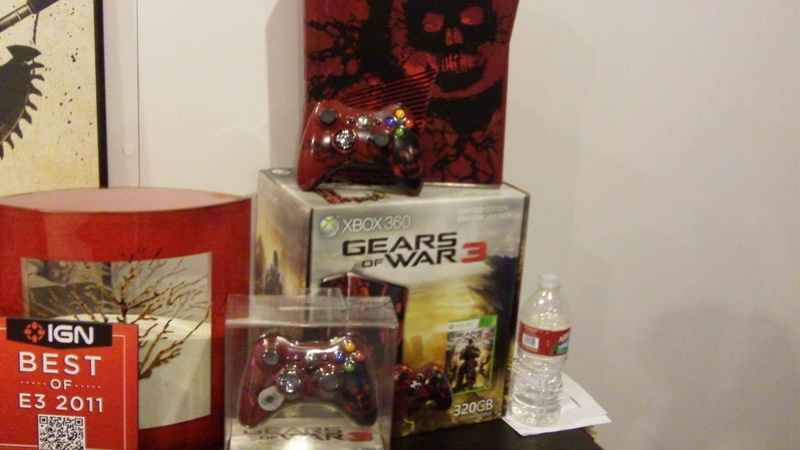 In case you missed it the new Gears of War 3 Xbox 360 Console was announced that has custom decals down to the controller, which you can purchase separately, but the console bundle itself comes with two controllers and a copy of Gears of War 3. The console also includes the largest hard drive ever available in an Xbox 360 (320GB) and will be available on September 20th coinciding with the games release date. Speaking of Gears of War, I just randomly bumped into Carlos Ferro, who does the voice for Dom in all three Gears of War games, among many other games as well, which was cool. Another impressive title was the new Star Wars Kinect title, which will surely suit fans of the series while you actually get to wave your hand to use force powers. The PS Vita completely blew me away after trying it and you can read me preview of it here. All the new additions coming to the 3DS were also very impressive such as the Resident Evil games, the eShop and more. Here is my opinion on certain things at E3 2011.